According to CNN National Security Analyst Samantha Vinograd, former President Obama separated migrant children from their families and stuck them in metal cages "for their protection," during a panel discussion criticizing President Trump's border policies. After playing a clip in which President Trump points out that the child separation policy began under Obama, CNN's Wolf Blitzer said: "The President, in the Oval Office with the Egyptian President, he denied CNN’s reporting and other reporting that he is thinking of reinstating zero-tolerance family separation policy. He repeated this accusation against President Obama. […] [Trump] stopped it after he authorized the zero-tolerance policy." Vinograd chimed in: "President Obama, when he separated children from their families, Wolf, it was for their protection. It was as if there was a risk of trafficking or other kind of harm that might have been incurred. But even if he did do that, why is Donald Trump saying that two wrongs make a right? Again, Obama wasn’t right, but he’s saying that because something is happening under President Obama, he’s repeating it and upping the ante. That’s an incredibly poor excuse. He’s systemized that inhumane treatment that, again, Obama was doing to protect children." 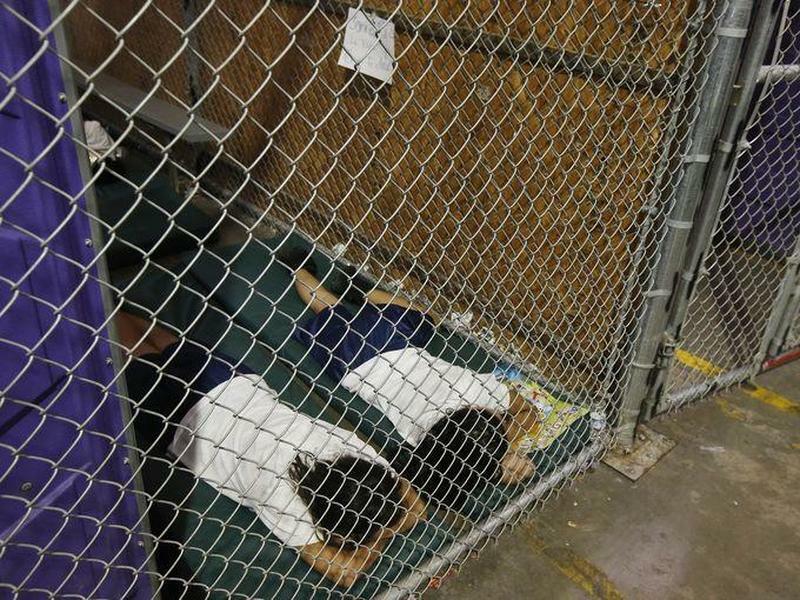 Trump has noted Obama's caging of children ever since controversy erupted last year when photos of caged migrant children taken during the Obama years were misattributed to the Trump administration. As we noted last July, Trump's 2020 campaign manager Brad Parscale raised a few eyebrows when he tweeted "Over 90,000 kids were detained under Obama. And no one cared." The claim was "debunked" by AP - which published the misleading article: "NOT REAL NEWS: Obama didn’t separate 90,000 migrant families." For starters, Parscale said detained, not separated. AP then refers to a 2016 Senate subcommittee report that Parscale was referencing in which nearly 90,000 children were 'placed with sponsors' under Obama. Meanwhile, the Obama administration's widespread abuse of detained migrants was sharply condemned by the ACLU and the University of Arizona. Also overlooked is the fact that 80% of children entering the United States are separated from their parents when they're shoved across the border with a human trafficker, and that migrants can seek asylum in the United States through one of the several U.S. consulates in Mexico.